I could say I’ve been busy. That I’ve been editing my next novel. Preparing a presentation. Researching. Learning at a workshop. Starting my new novel. Giving a workshop. Procrastinating. Or I could just say sorry and get on with it. So here’s a quick post about the weekend I just spent with a lovely group of talented writers. 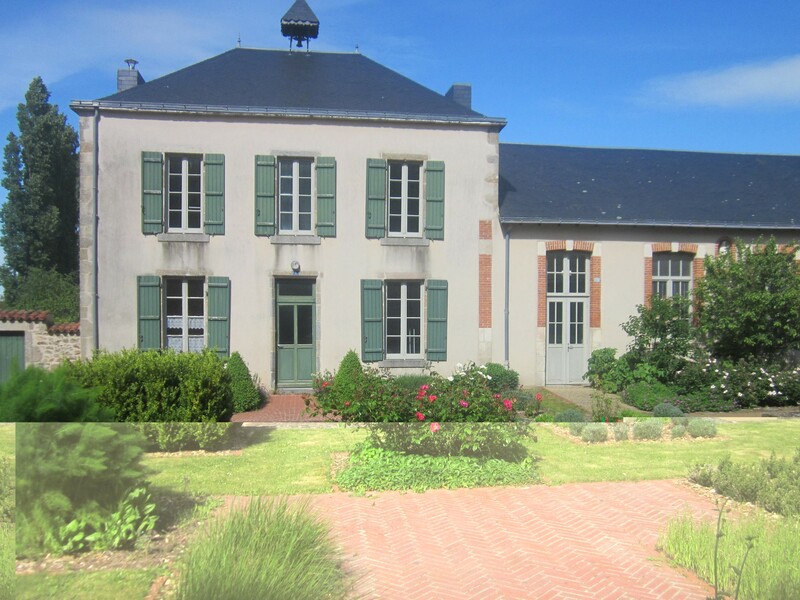 The writers group ‘Keysmash’ invited me to give a 2-day workshop in the Gers (France) on 1 & 2 December. 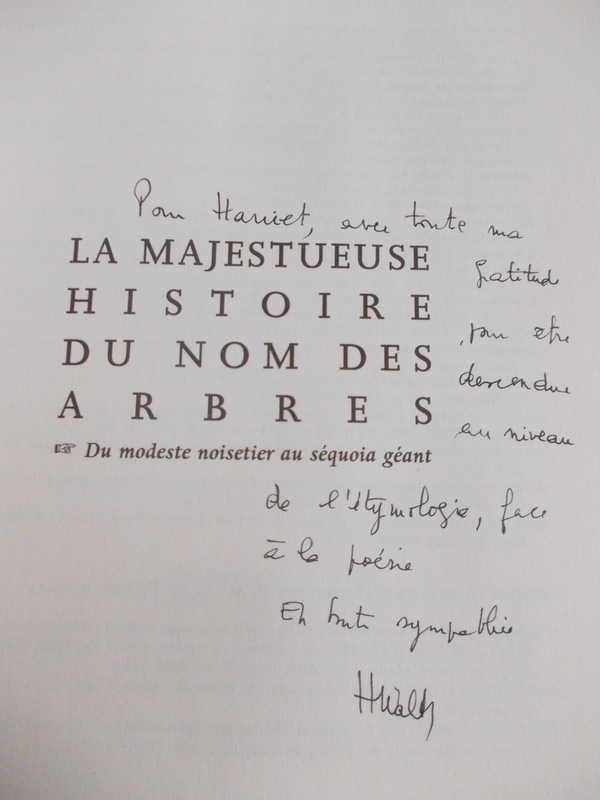 This was all thanks to Ginster, who I met at the Parisot literary festival last year. I was warmly welcomed by Rosie, along with her dogs and horses, and then we spent two days working hard with eight members of her writing group. Unfortunately, Ginster was ill and couldn’t attend. Each of the group members sent me a piece of writing to critique beforehand, and we established their needs based on this work. I planned three separate workshops: Focus on Prose, Starting Stories and Building Scenes. I also gave each of them individual feedback on their finished stories. I can’t believe how incredibly hard they all worked! Not only did they write some fab prose, they also were willing to rip everything apart and play by the ‘new’ rules I introduced. They even laughed at my jokes. Keysmash is an inspiring example of how supportive a writing group can be – and not only in terms of their writing. I hope everyone had fun and found something useful to take away from their weekend. I certainly did. 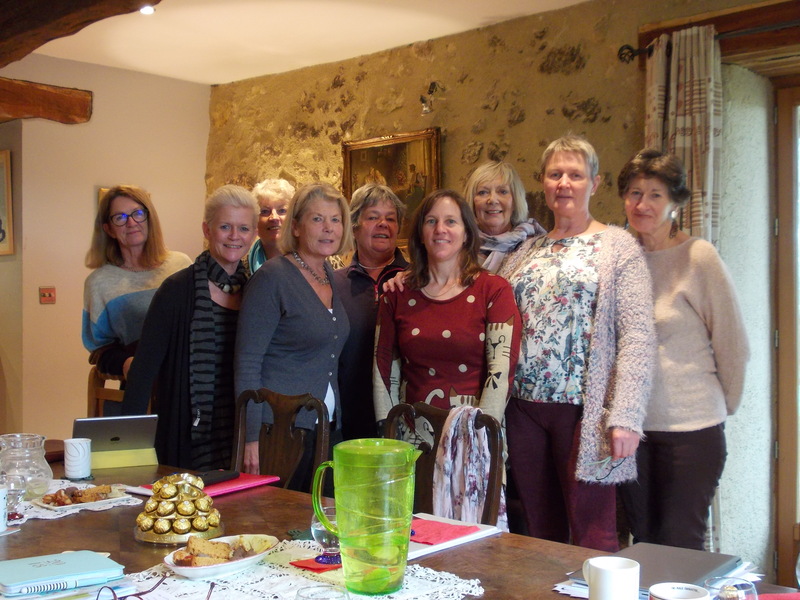 This entry was posted in Life in France, On Writing and tagged Keysmash, writing workshop on 4 December 2018 by harrietspringbett. Today’s question is: do writing workshops qualify as procrastination? You have 4 hours to answer. Sorry, I’m in exam mode (and I recently discovered the strikeout button on WordPress. It’s even more fun than brackets, which were my previous faves). Yes, I’m in exam mode. Not for myself, but for my daughter: someone has to think about the Big Bac. All she seems to say is, “T’inquiète,” (don’t worry) as she heads off to another overnight party. Meanwhile, I’m studying. Which is interesting, actually. I’m studying what I’m going to be teaching / have been teaching this year in the various workshops I’ve been invited to lead. Writing is similar: you read a story and know it is good. If you’ve got oodles of raw talent, you may even write a good story. But why does a particular story work? What techniques has the writer used? That’s where writing craft guides, workshops and courses can help. I spent years poring over writing books and experimenting with techniques, often with my amazing writing group of the early 2000s, Lumineuse. For the last few years I’ve been concentrating on writing novels, so it wasn’t until I was asked to lead a workshop last year that I returned to my creative writing guides. Once I opened them, the memories surged back. I rediscovered concepts I’d struggled to understand before. This time, with ten more years’ writing experience, they made much more sense. I could think of my own examples to the models they presented. I bought a couple more guides – just in case a modern technique had been discovered. I read them. (It hadn’t). I re-read my old guides. I took notes. I put on my wetsuit and surfed writing blogs such as Emma Darwin’s excellent This Itch of Writing. Writing? Ha, who needs to make the effort of writing when you can spend your time learning about how you should be writing instead? It’s much less painful. More inspiring. And, yes, it makes sense. If you read enough about the craft, surely you’ll absorb the information and the literary bestseller will flow from your keyboard? I sighed, closed my guides and went back to the blank screen and the infinite possibilities of the keyboard. Then, a few weeks ago, my date with Kate appeared on the “God, it’s in 3 weeks’ time” horizon. Kate is on the far left. 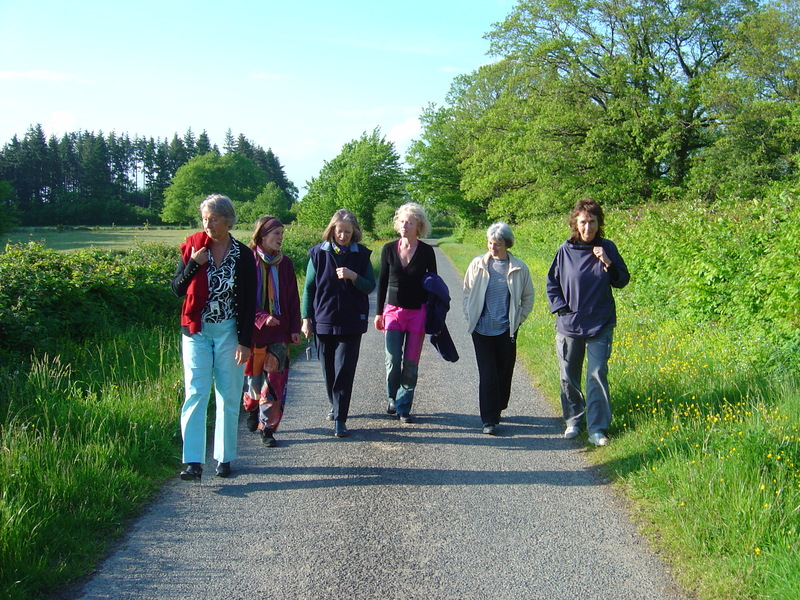 You might also spot Kate Mosse, Isabel Ashdown, Jacqui Lofthouse, Elizabeth Haynes, Alison Morton and Christine Colette. 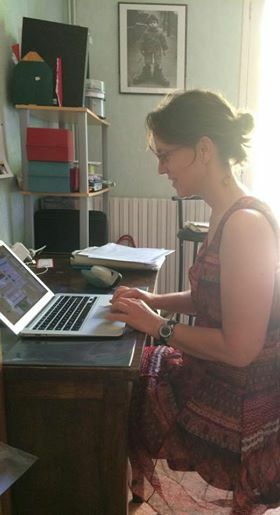 Kate Rose – co-founder of the Charroux literary festival, workshop leader, Bookish Lunches organiser and poet extraordinaire – had invited me to do a session as part of her Meraki writing business. 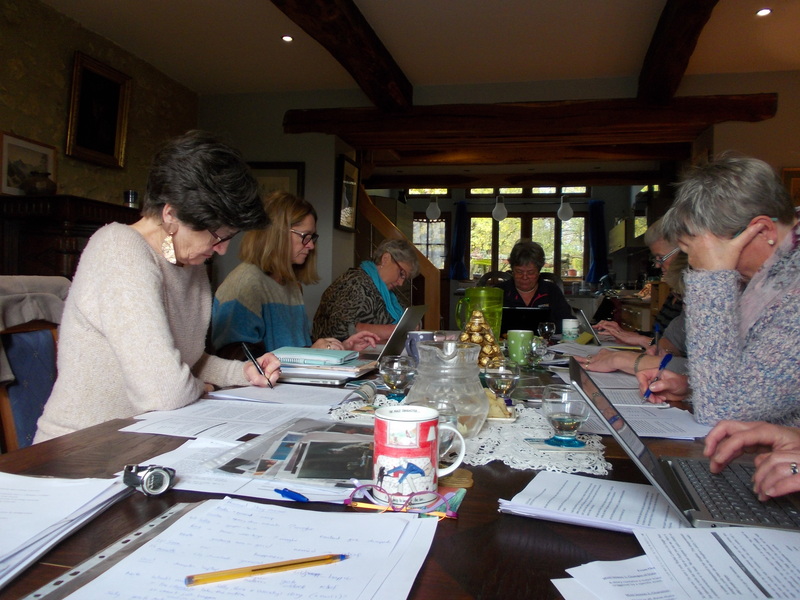 She holds monthly writing events so that us poor English writers in France aren’t so isolated. I’d chosen to talk about how to take a character and write a story based on him/her. I wanted to explore this because I regularly see beautiful writing and great characters, but it’s much more unusual to see a story that works well. I looked at my pile of writing guides and my pages of notes. A week later, I guzzled a glass of champagne to celebrate the end of my first draft, and set to work preparing the workshop ‘From Character to Story’. When I go to a workshop, I like the leader to present some kind of theory, and then for us to do exercises based on that theory. So this is what I planned. I soon discovered that preparing a workshop is like editing a novel draft. I had to cut, cut, cut. There was so much I could do, but I wanted the participants to take away a concept that would make them think about how to approach a story. My final plan was ambitious. I know from giving talks about writing and from my English teaching lessons that you always need more time than you think. I was in danger of rushing through the concepts. I would have to be strict with timing. I would have to take a whip and punish anyone who asked too many questions. The day of the workshop arrived. I wasn’t ill. My car started. No aliens whisked me away to another planet during my journey to Champagne-Mouton. 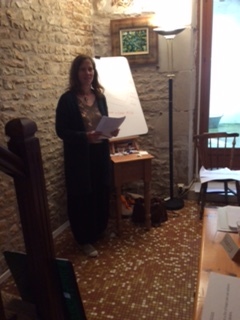 I switched from writer to teacher mode, and the workshop began. It was fun to meet everyone, hear about their writing projects and listen to their story scenes. Many thanks to Kate, who was a brilliant host and kept participants supplied with drinks and a delicious lunch – as well as following the workshop. The attendees were generous with their feedback, so I hope everyone learnt something useful. Oh, and in answer to the exam question: workshops are not only a great place to learn about writing, they’re also an ideal opportunity to chat with other writers and shape your work. That’s certainly not procrastination, is it? Kate is a writer, poet and creative writing coach. She lives and works in South West France. 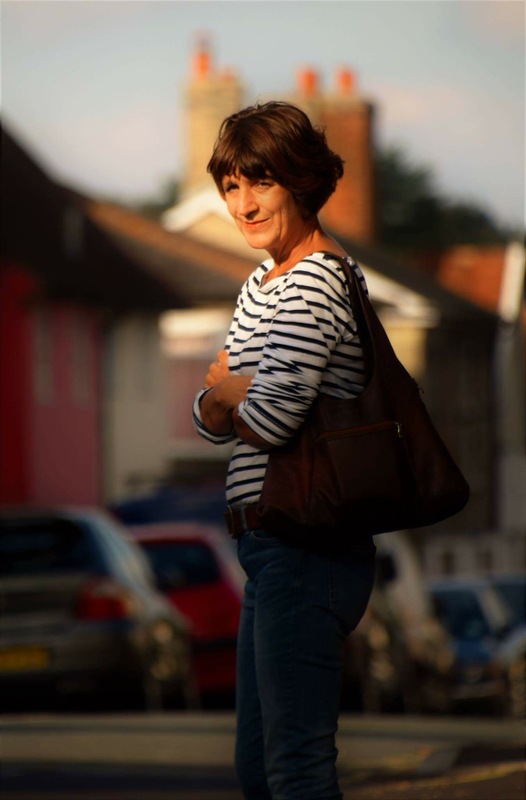 She is co founder of the bi-annual Charroux Literary Festival, attracting international bestselling authors and poets. 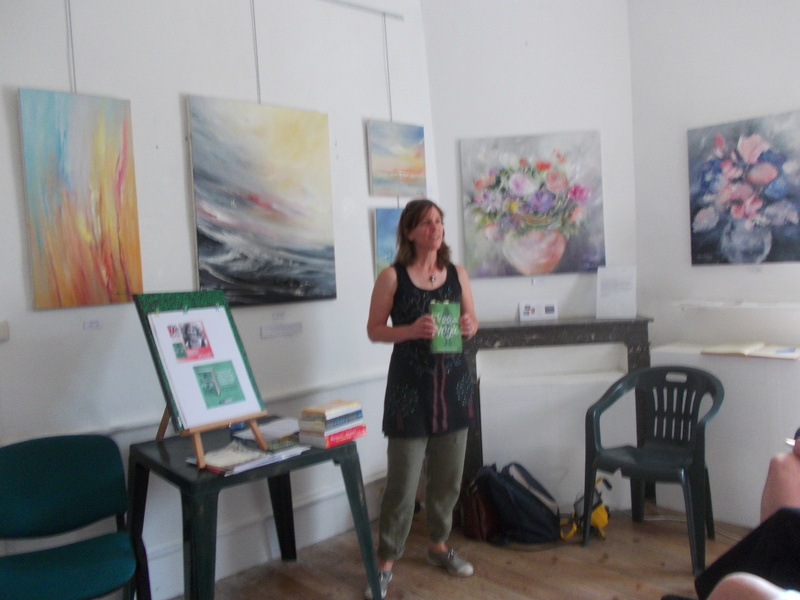 She has been published in a range of magazines and anthologies. Through her business, Meraki, she offers one to one coaching and writers workshops. 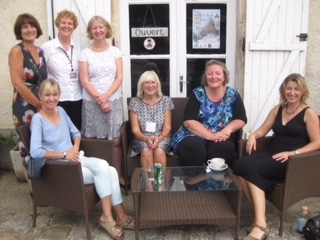 This entry was posted in On Writing and tagged Charroux litfest, Emma Darwin, Kate Rose, Lumineuse, Meraki, This Itch of Writing on 15 June 2018 by harrietspringbett. A year ago my life changed. 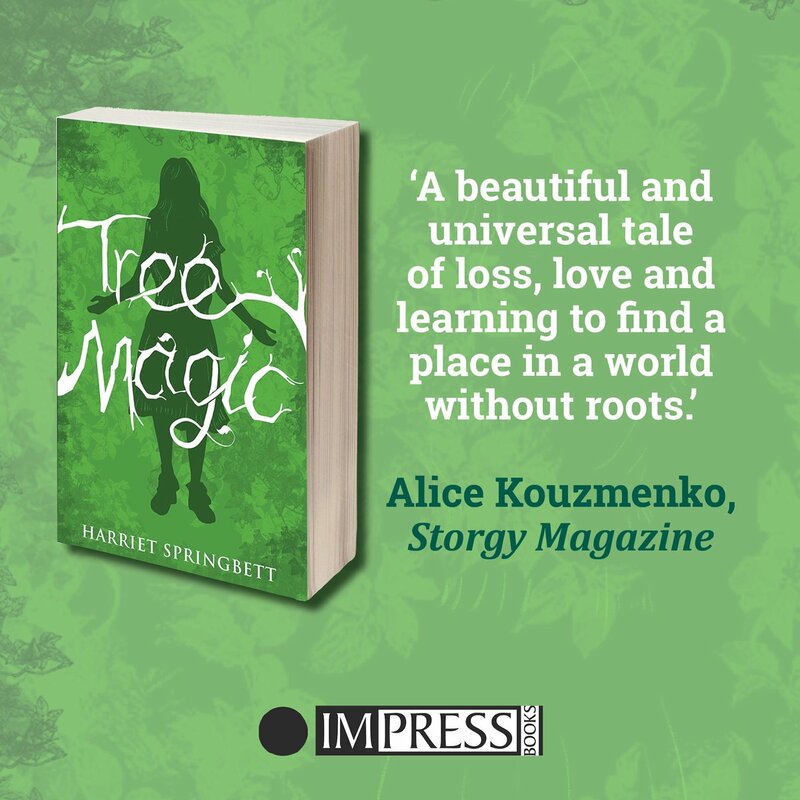 That sounds a bit dramatic, so let me explain: last January, the 9th, to be exact, my debut novel Tree Magic was published by the lovely team at Impress Books. I instantly became a best-selling author and am now rich, famous and respected, with my work translated into 35 languages. OK, I may be exaggerating (slightly – you know me). But my life did change in many unexpected ways, most of which were positive, so I thought I’d brighten up this dull January day with a post to remind myself what a wonderful year 2017 was for the writer in me. I won’t dwell on how it felt to become published: you can read about this in my post here, if you’re interested. Suffice to say I was overjoyed. What I am going to tell you about are all the unexpected spin-offs that came from being a published author. The scariest part of 2017 was turning from a writing hermit into a public figure. I was invited to speak on the local radio, where I ended up doing 3 shows because the interviewer was interested in short stories as well as in Tree Magic. I was horribly nervous beforehand, but doing it made me realise that I could overcome my fear of not knowing what to say. 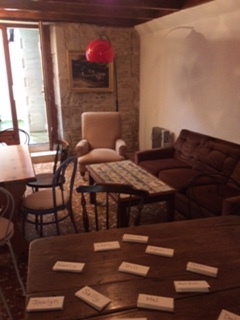 It also gave me more confidence for my talks at Le Kairn bookshop in the Pyrenees, the Angers English library, the Charroux bilingual literary festival and the Segora competition presentation day. OK, I was just as nervous beforehand, but I discovered that once I was standing in front of the audience, everything was fine. People are so friendly and ready to laugh! Each talk I gave was a little different, but the theme – the lessons I learnt along my route to publication – remained the same. More enjoyable than the talks was the workshop I gave on writing for Young Adults (YA). Despite my threats of nasty punishments, the participants seemed to enjoy it. 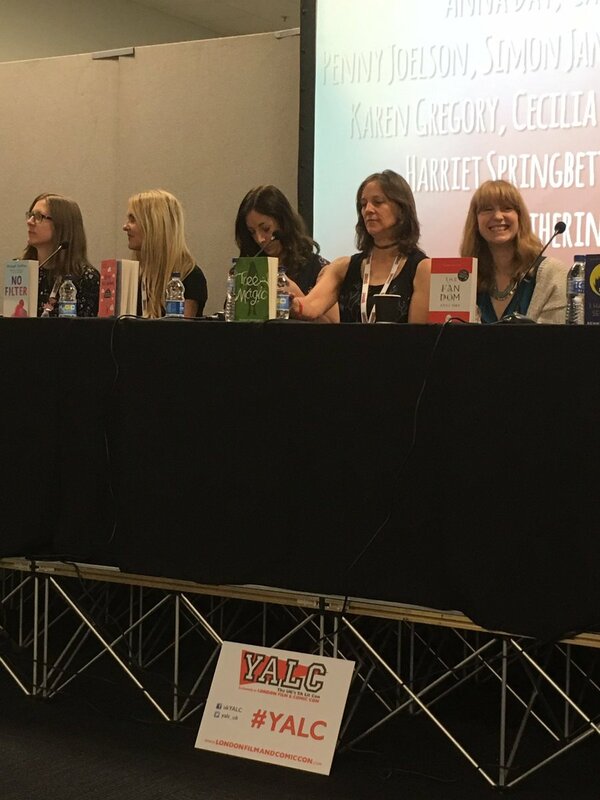 In July, I was invited to speak on a panel at the Young Adult Literature Convention (YALC) at the Olympia in London. With a microphone. This was the most difficult public event for me, the only one I was paid for, and the one at which I learnt the most. It was at the Olympia that I learnt what a Green Room was. The email from the organisers told me to go to there on arrival, but when I looked around the exhibition floor the Green Room was nowhere to be found. I ended up at the information desk, where the girls explained that it’s a code name for the private room where the authors can relax away from the crushing crowds of fans (not that anyone actually had this particular problem). How silly did I feel? 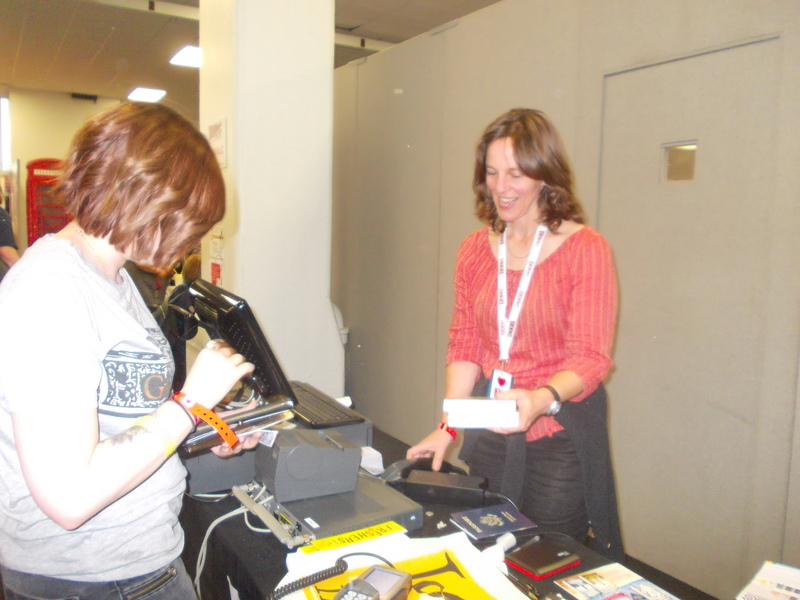 The highlight from YALC, apart from meeting lots of interesting authors, bloggers, agents and publicists, was helping out at the Waterstones cash desk. I received some strange looks at first, when I had to peer at the unfamiliar British coins people gave me. 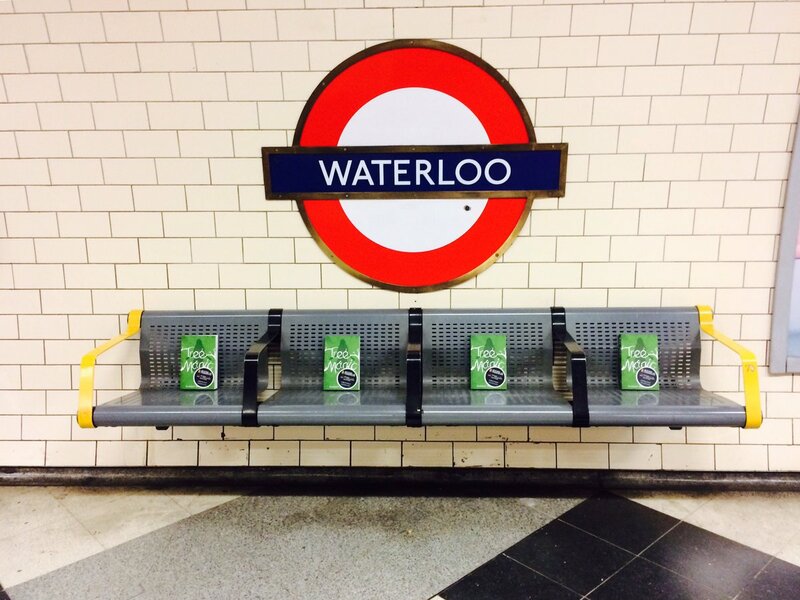 I was so chuffed when I actually sold my own book to a stranger. I could say that YALC disillusioned me too. It was here that I realised that getting published was not the height of success. It was simply the opening of a door into the professional side of the book world. Publishing is a business. Like in any business, the focus is on the commercial aspect of the product rather than on the artistic love of playing with words and structure. 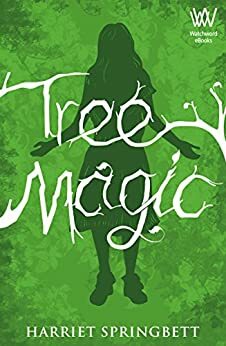 Tree Magic received some amazing reviews. It was a real boost to read these and know that someone had ‘got’ your message. But my favourites were the emails, photos and private messages I received from readers to whom Tree Magic meant something special. I also loved hearing people’s stories about trees when they came to get their books signed. I could write a book from all those anecdotes! 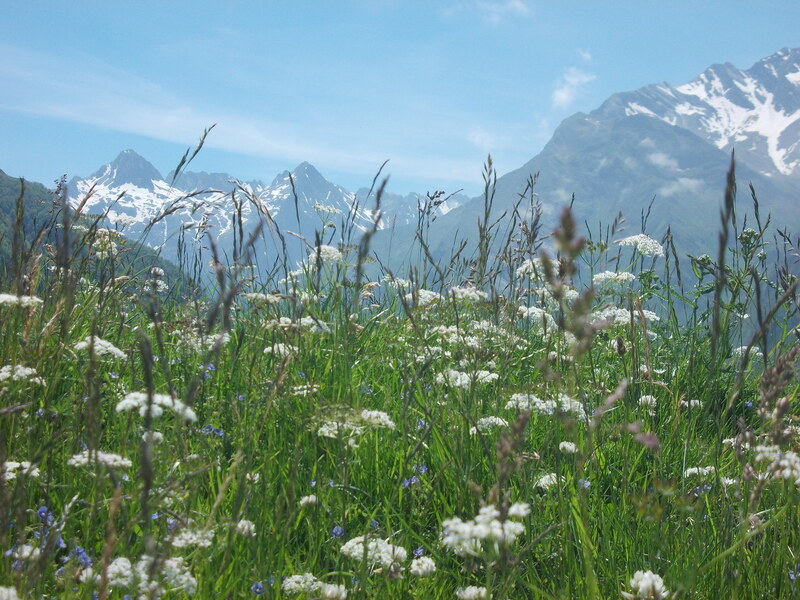 The highlight of my year was an invitation to do a writing residency in the Pyrenees, the place where my current novel is set. I found the perfect balance between writing, researching, blogging about the residency and being introduced to interesting people. I was so sad to leave, and my return to everyday life was difficult. It was from reading those writing residency posts that an editor from the Writers & Artists Yearbook contacted me and asked me to write a piece for their 35 000 newsletter readers. I was so flattered! You can read my piece here. 2017 was my first foray into video too. Popular Facebook vlogger / teacher, Doreen Doily, featured Tree Magic on one of her video posts, and I even attempted a vlog myself. Perhaps it was my publisher’s pity at seeing me play with pretend-books that led them to announce soon after the publication of the ebook that they had decided to print a paperback version too. That was a champagne moment. It led to publicity campaigns, such as Books on the Underground, and invitations for guest blogs. 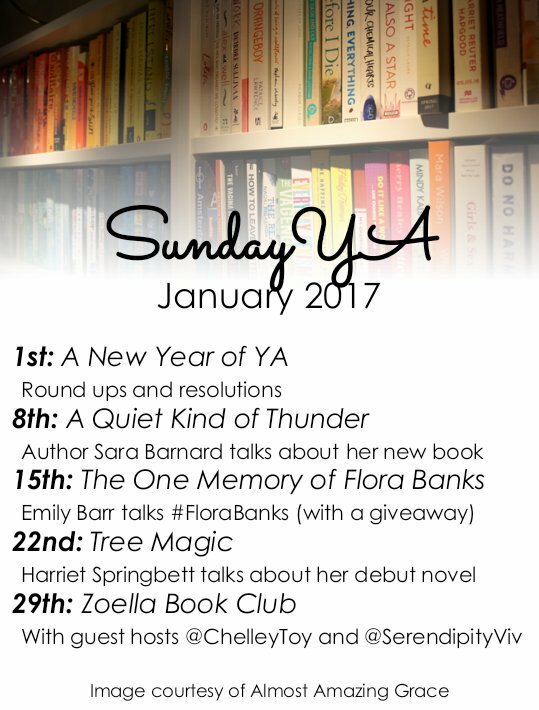 I started to take part in Twitter chat shows, such as the convivial #SundayYA, which is fun and informative. My publicist also told me it made my book eligible for prizes. Prizes: my naïve eyes were opened here too. Prizes are a marketing tool, and I was shocked to see how much publishers have to pay to take part. I soon learnt that to be eligible for many prizes, you have to live in the UK (and have your book distributed to Waterstones). Which I don’t. It’s a real disadvantage for an author to live outside the UK because you can’t take part in panels and book launches so easily either. I now understand why literary agents have rejected me for this very reason. The proudest moment of the year had to be the shortlisting of my story Big Bones in the coveted Bath Short Story Award and its inclusion in their anthology. I had great fun at the launch evening, where I discovered the amazing Mr B’s bookshop in Bath. It’s like a dream home, with floor to ceiling bookshelves in every room. 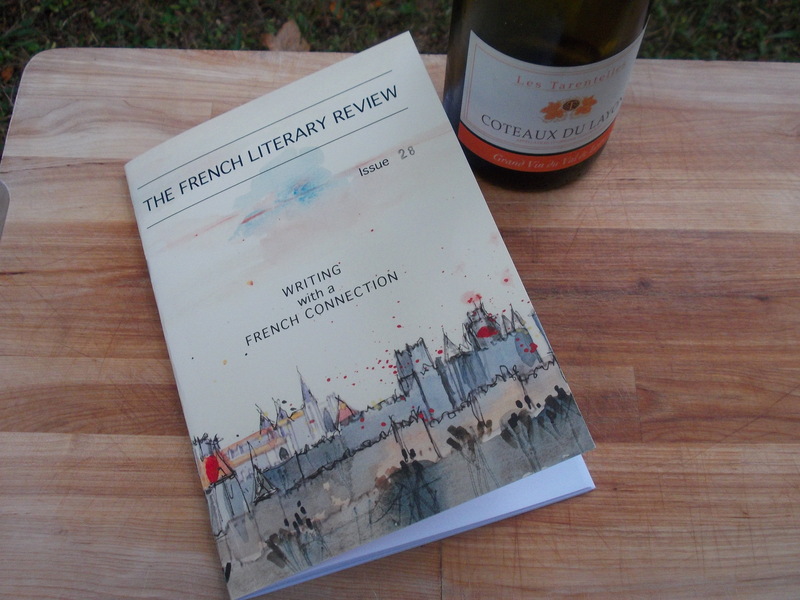 Talking of short story publications, my Segora prizewinning short story from 2016, Quark Soup, was also published in the French Literary Review. I’m sure there were missed opportunities during the year. I met my dream agent, one who loves nature and wildlife, only to hear him tell me that he wished I’d sent him the manuscript for Tree Magic before it was published, as it was exactly the kind of book he liked. I also met the CEO of The Woodland Trust at a book talk, just as I had to leave the event. Of course there were negative sides to the year, not least of which was that I was exhausted by November. In addition, I struggled with Twitter. No matter how happy you are, when you see other people’s successes you can feel inadequate and even dissatisfied. Success is ethereal, and your life-changing news is forgotten within hours of it being announced. This has been a lesson to me, one I often remind myself about. People tell you not to give up your day job when you’re an author. I would second this. In fact, I may have to find an extra job to pay for all the travel and accommodation expenses I’ve run up through taking part in events! My first year as a published author may be over, but the spin-offs are continuing into 2018. 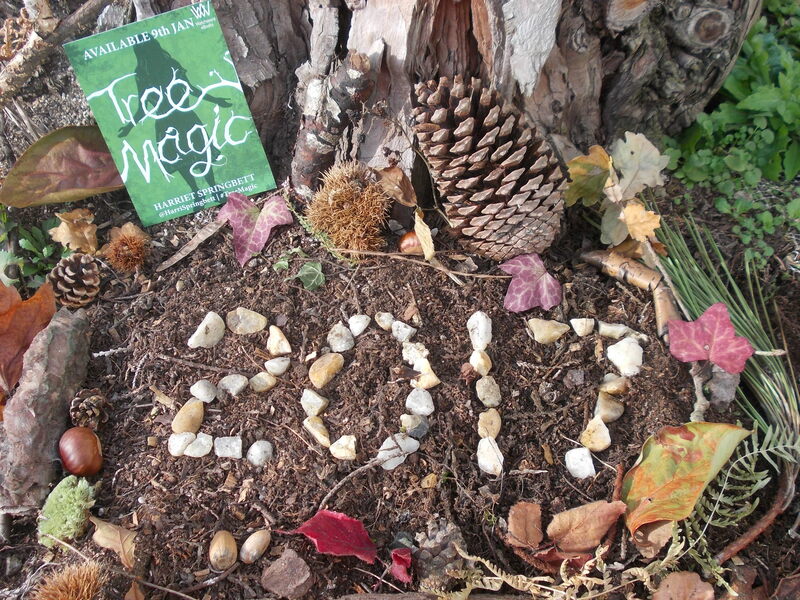 For example, a French high school has decided to study Tree Magic, so I will be working with a class of 36 teenagers. 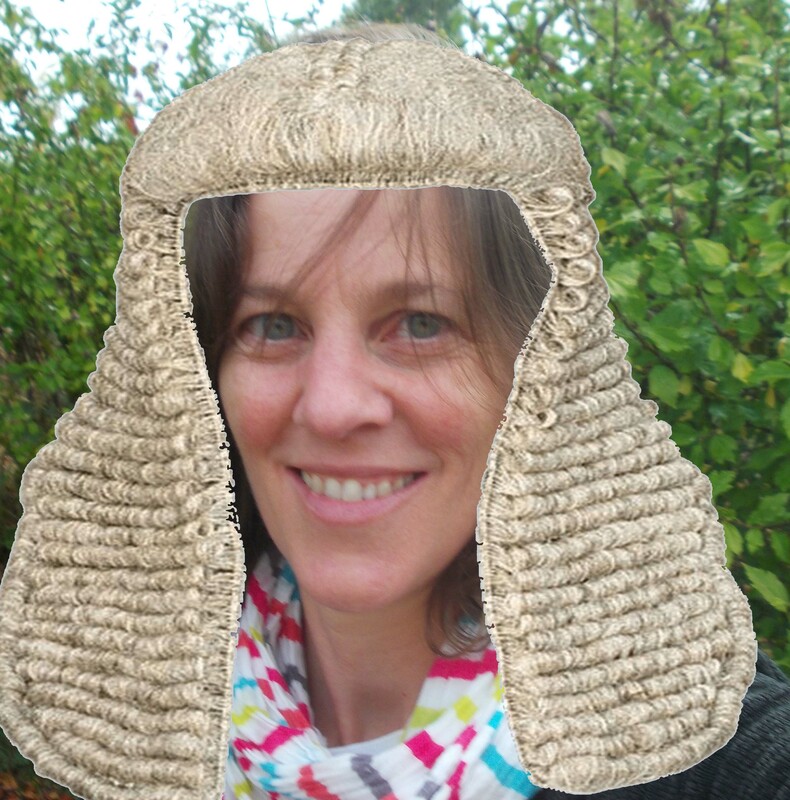 I have been invited to judge a short story competition and lead a tree-themed writing workshop in France; and I may be participating at some literary and tree events in the UK this summer. Most importantly, I am back at my desk, hiding in the safety of my house and writing my next novel. Writing may be less dazzling than publicity, but it’s the part I love, the part that makes me laugh and cry on a daily basis. If 2018 brings nothing but a year of writing, I will still count myself lucky. This entry was posted in Non classé on 9 January 2018 by harrietspringbett. 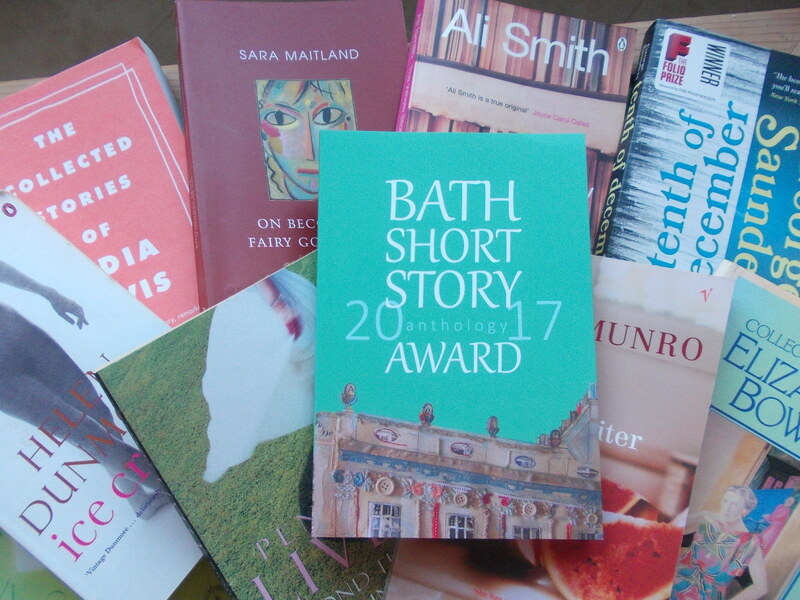 If you’re a regular reader of this blog, you may remember my excitement back in July when my story ‘Big Bones’ was shortlisted for the coveted Bath Short Story Award. I mentioned this in the ‘Other News‘ tab above (which I update regularly with events unrelated to Tree Magic). 18 out of the 1100 entries In the BSSA were shortlisted, and I’m proud to say that these stories have now been published as an anthology. You can see it in the photo and buy it here. My prize (to myself) was a trip to Bath for the anthology launch party. 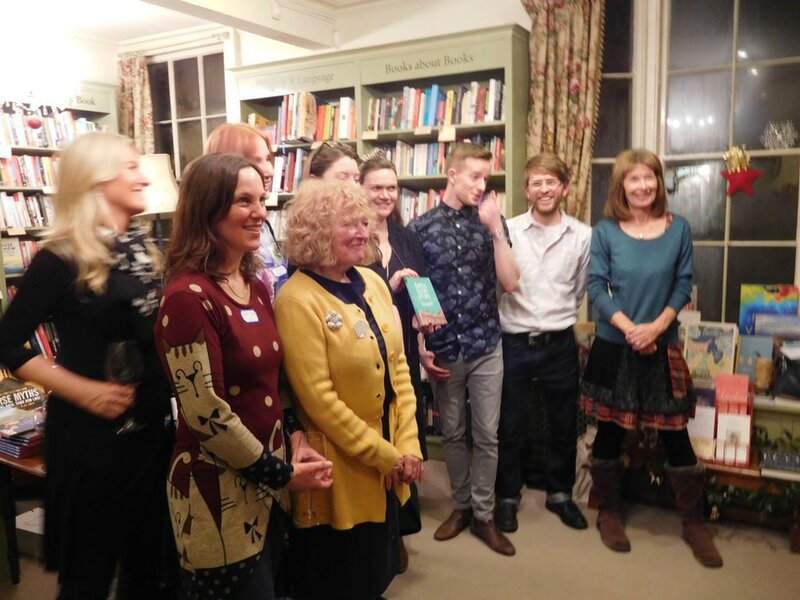 You can read about it here on the Bath Short Story Award website – or you can continue reading below for my version of the party. Actually, you can do both. I haven’t flown anywhere for at least 5 years, so discovering how Ryanair now works, with all its restrictions and website defects, was, um, interesting? (meaning that I used lots of swear words). Luckily, the flights were fine, and I discovered the cheap and cheerful Park and Trip car park near Bordeaux airport, which was recommended by my friend Jane and is run by some friendly guys. I also noticed how fast British travellers walk. I seem to walk much faster than French people in the streets. But I was outraced by the Brits in the airport queue. Has anyone else noticed this? I suppose they were keen to get home to their grey skies after being subjected to too many snails and oysters. Did I say ‘grey skies’? Well, I actually had crisp, sunny weather for the whole 3-day trip. But I won’t bore you with weathery stuff. No, I have something exciting to talk about today. Mr B’s Emporium of Reading Delights. No. That was coincidental, and probably due to the efforts of my lovely publicist at Impress Books. When you enter Mr B’s Emporium at 14-15 John Street, you feel as if you’re walking into someone’s – a book lover’s – home. And this someone has a house worthy of your dreams. You’re not treated as a customer, but as a book-loving friend of the welcoming staff. Which, of course, you may well end up becoming! It has a series of little rooms on three levels, and reminded me of Shakespeare and Company in Paris – though with its carpeted upstairs floors and well organised bookshelves, it is cosier and more British. I later noticed a poster on the wall stating that Mr B’s is twinned with Shakespeare & Co.
books in a Bath bath?? After explaining why I was taking photos, I signed Tree Magic and learnt that the staff have a project to collect authors’ signing pens and display them on the ceiling. This is just one of the ideas that show how invested the staff are in their ‘home’. They also sell gifts, including a Reading Spa: a kind of bibliotherapy in which your ‘therapist’ will recommend books to suit your tastes. This would make a perfect gift for a friend (*clears throat* in case family / friends are reading this). Mr B’s bookshop was the venue for the BSSA launch party, and when I returned for this in the evening, I was welcomed by the award organisers: Jude Higgins, Jane Riekemann and Anna Schlesinger. 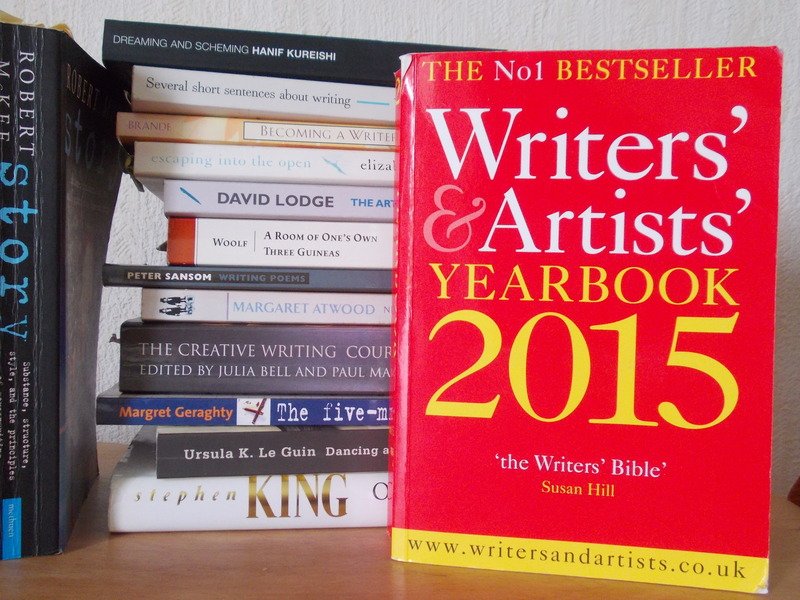 They are authors in their own right, as are many of the competition entry readers. It was, of course, wonderful to meet the other authors, some of whose names were familiar from other competition shortlists. Once we’d done the scary reading from our stories, many of us went to the pub around the corner, where we spent a great evening discussing writing and reading. I met another Jon McGregor fan, found a lady who has a house only 20 mins from me, and discovered someone’s daughter had read Tree Magic and loved it. Many thanks to everyone involved in the event, especially Jude, Jane and Anna for their dedication. And thanks to Chris and Anita for photos. If you’d like to read the amazing stories in the anthology (I still can’t quite believe mine is there alongside such jewels), you can find it in Mr B’s bookshop and here on the BSSA website. 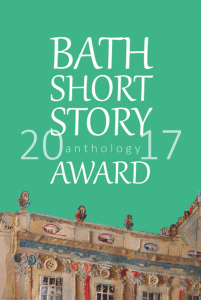 And they have just opened entries for the 2018 edition of the Bath Short Story Award, judged once again by Euan Thorneycroft from the AM Heath Literary Agency. Now the literary fun and games of the last few months are over, I can get on with my exciting new project… You may not hear from me for a while. This entry was posted in On Writing, Tree Magic and tagged AM Heath, Anna Schlesinger, Bath, Bath Short Story Award, BSSA, Euan Thorneycroft, Jane Riekemann, Jude Higgins, Mr B's Emporium, Park & Trip on 1 December 2017 by harrietspringbett. It’s National Tree Week in the UK from 25th November to 3rd December. This initiative is run by The Tree Council, who are organising lots of tree events all over the UK. 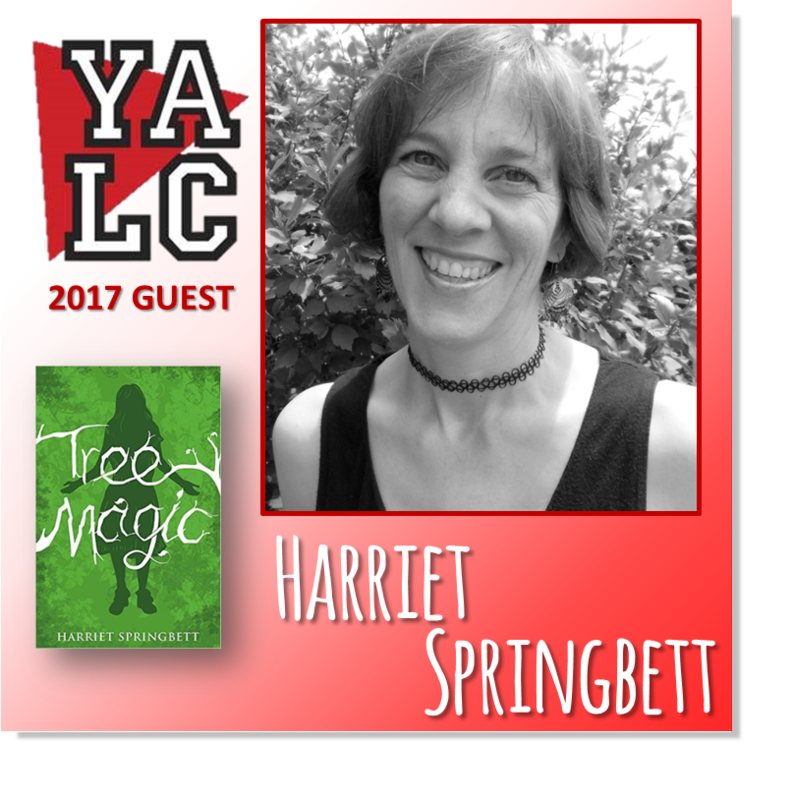 My publisher, Impress Books, has added its support and is holding a Tree Magic competition via the Love Books Group blog. There will be prizes! Check out Love Books Twitter account here to find out more tomorrow, 25th November. The competition will run until Sunday 3rd December 2017. 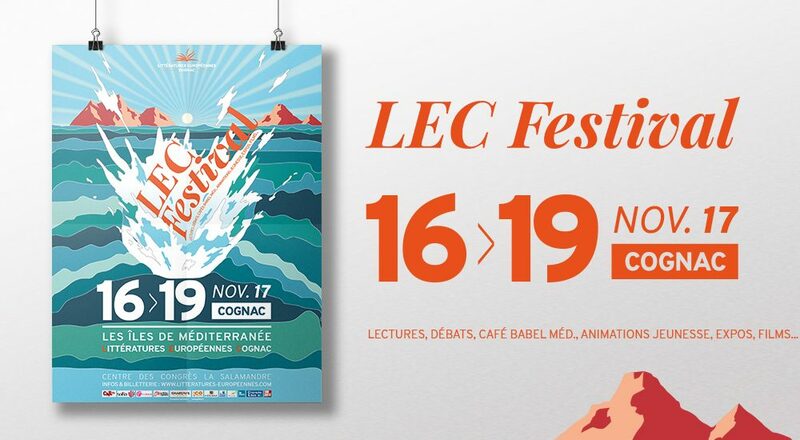 What could be better than spending 4 days at Cognac’s European literature festival, surrounded by books? OK, winning the lottery, maybe. Or creating world peace. 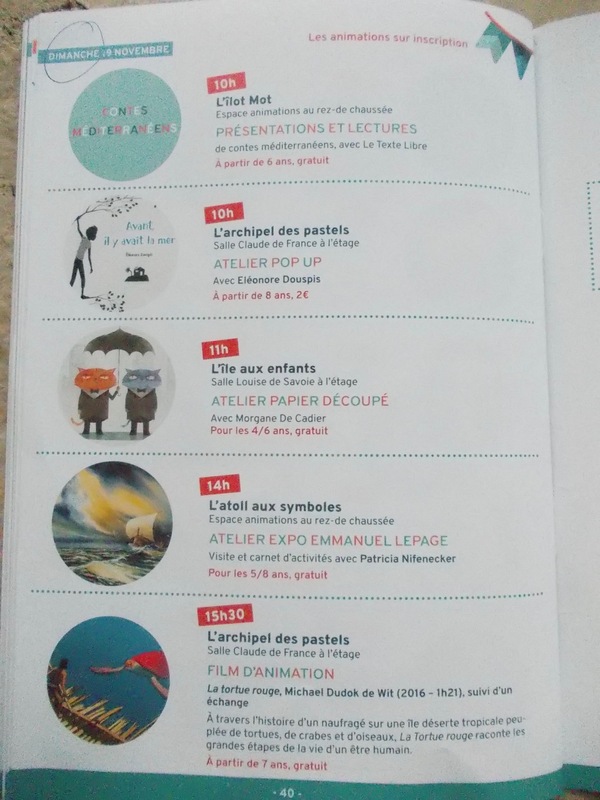 But within the constraints of my little bookish life, what did I find even better than just attending last week’s Littératures Européennes, as I do every year? The answer is being a volunteer (in French, we say a bénévole). Yes, I had my first voluntary experience there, last weekend, in a team with the 40 other book-loving volunteers and it heightened my appreciation of the whole literary festival. 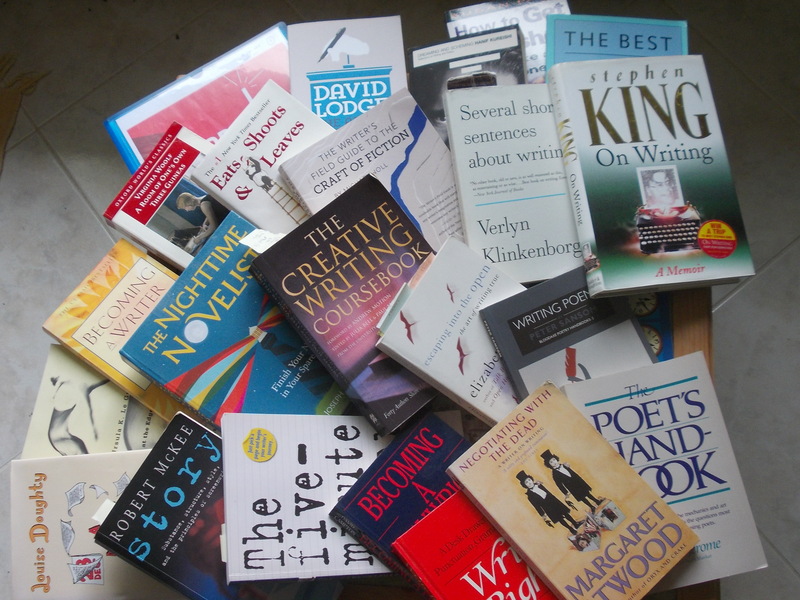 As you’ll know if you’ve read my 2015 and 2016 blog posts about the festival, the idea is to get to know our fellow Europeans better through reading books. Each year one country or region is selected: for this year’s edition, the theme was the Mediterranean islands. 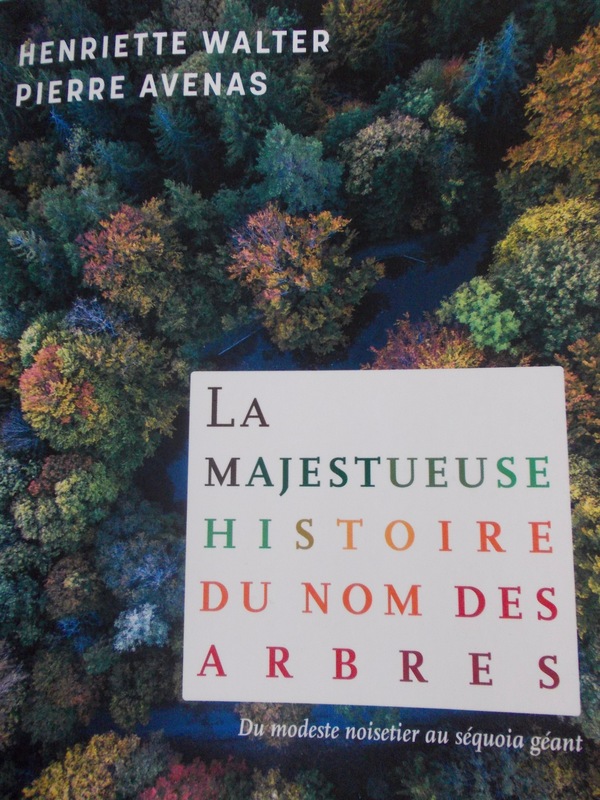 The Littératures Européennes association chooses books set in the country of honour and translated into French. The shortlisted ones are sent to libraries and schools all over Poitou-Charentes, who vote for their favourites. All the authors are invited to the festival to meet the public, and the winners in each category receive prizes. 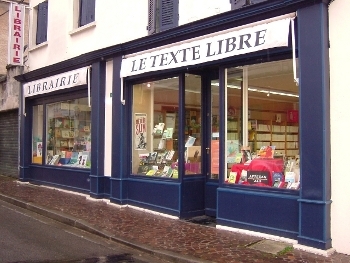 I have avoided volunteering up to now (apart from odd slots at my favourite Le Texte Libre bookshop stand) because I like to be free to explore, to listen to the talks and to meet the authors. I thought that as a volunteer I would be stuck in one place, dealing with complaints and telling people where the toilets were while exciting events sparkled all around me. No, Harriet. Wrong again! Well, some people did ask where the toilets were – and I must admit that I made a fab list of the most bizarre things I was asked – but I certainly wasn’t stuck in one place. We were able to take part in our choice of events, since we worked in pairs. And instead of suffering complaints, we were kissed with compliments. It was great to work alongside the other association members and get to know them while we welcomed authors and translators, prepared rooms for round table events and helped out visitors. In fact, if this blog post is rather light on photos of people, it’s because I was far too busy looking helpful to use my camera! I knew that the festival was free and that you could watch discussions between authors on specific European themes. These take place at La Salamandre conference centre, which has an auditorium, an onsite literary café and smaller rooms. 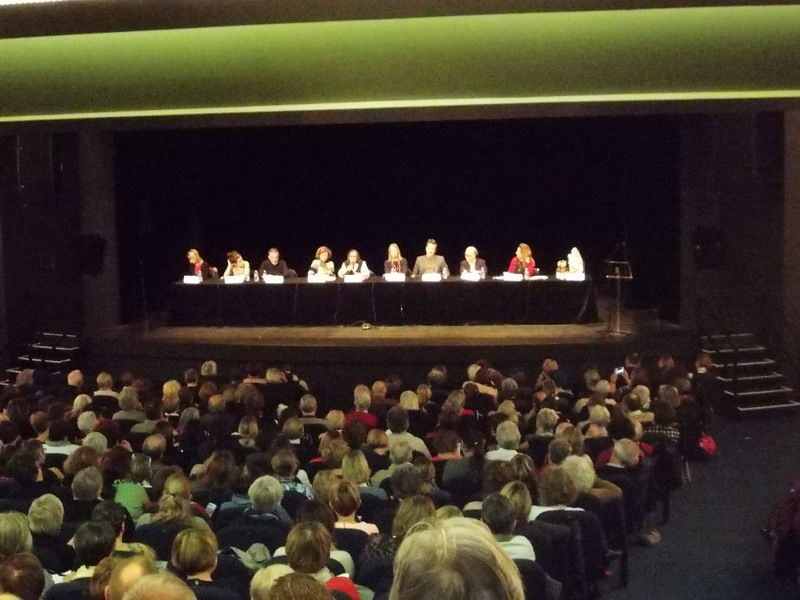 I’d also been to the popular panel between shortlisted authors for the Prix des Lecteurs, (readers’ prize) which is held at Cognac’s Avant Scène theatre. What I didn’t know about were the numerous events organised outside the boundaries of the talks, prizegiving ceremonies and bookshop stands. Thursday was dedicated to secondary school pupils, who came for special activities led by a selection of authors. The booktubing session – where real-life booktubers Lizzie and Gwendoline filmed pupils talking about their favourite festival books – was a highlight for me. It was also useful because a high school will be booktubing on my own novel, Tree Magic, next spring. Friday saw high school students take over the conference centre. Their sessions taught them about careers in publishing and they also filmed each other interviewing the authors. And primary schools were not forgotten, as children’s authors and illustrators drove all over the region to speak to classes. Children were also an important focus of the festival during the public opening at the weekend. A whole room was allocated to children’s workshops, films, musical siestas and readings, which ran all day on Saturday and Sunday. This year the variety of public events was much wider. 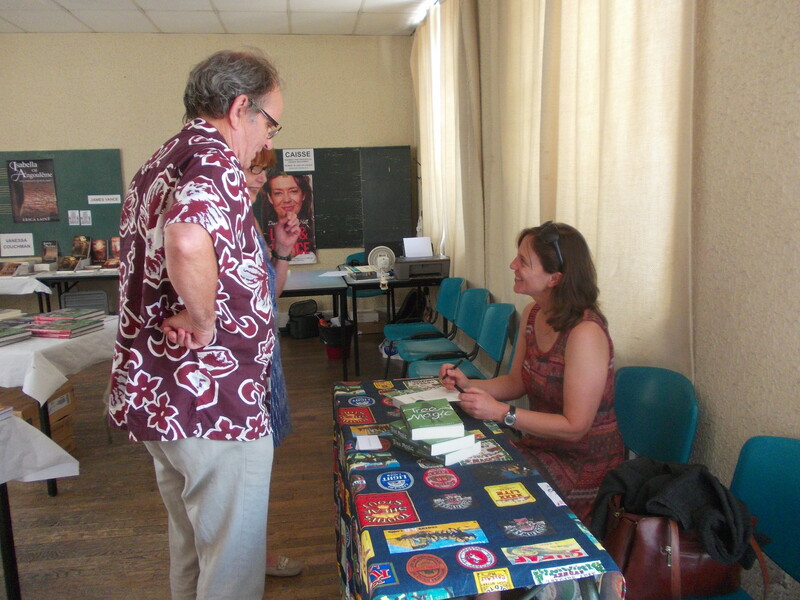 Authors gave readings, which you could listen to on headphones while drinking a coffee or wandering round the stalls. There were photography exhibitions, performed plays, book signings, film projections and readings accompanied by music. I loved the fun ‘tarot-card’ game with mysterious goddess Circe, who would find the text to match your mood and read it to you. 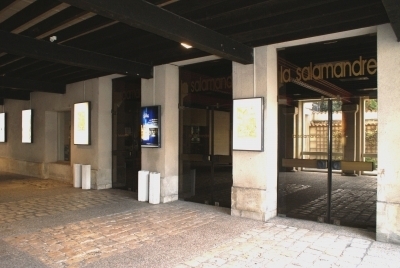 In the evenings, festival partners provided entertainment, including a play at Hennessy’s theatre, ‘Les Quais, Ici ou Ailleurs’, and a film projected by Eurociné. As the theme was the Mediterranean Islands, you could hear authors speaking in Italian, Sicilian, Greek, Corsican, Cypriot, Maltese and Croatian. There were also plenty of discussions about insularity, war, the Mafia, leprosy and the refugee situation. I did hear one British accent among the authors: Emma Jane Kirby dropped in and talked (in excellent French) about her novel The Optician of Lampedusa. Other authors present included 2012 Goncourt winner Jérôme Ferrari and the current writer-in-residence, Sicilian Davide Enia. Davide is the author of Palermo boxing novel On Earth As It Is In Heaven, and was everyone’s darling. The audiences laughed at his jokes and he spoke in a charming choreography of Italian gestures. During his six-week residency he worked hard, visiting schools, libraries and bookshops throughout the region to talk about Sicily and his work. 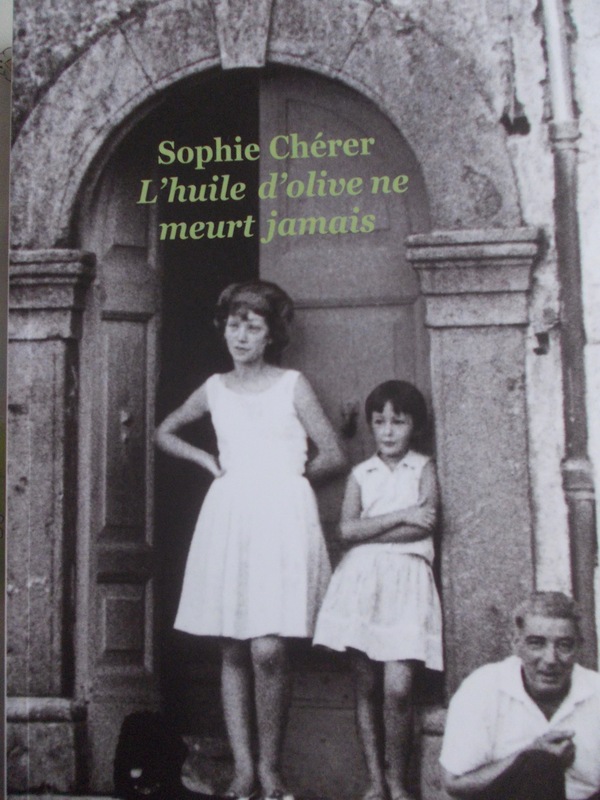 I had a coup de coeur for Sophie Chérer, author of L’Huile d’Olive Ne Meurt Jamais, which is based on a true story about mafia resistance. She talked to a group of secondary school pupils and made them think about what success actually means, in terms of a book. She also asked them how they felt about books being put in competition with each other to win a prize, and explained why she found this odd. Ironically, Sophie later learnt she’d won the secondary school readers’ prize. One of my favourites from a previous year (see my 2015 blog post about the London edition of the festival) was also present. Henriette Walker, etymologist extraordinaire from the French Academy, was back to fascinate the audience with her talk about the origins of language in the Mediterranean islands. Imagine my delight when I saw that her latest book was all about the names of trees. Needless to say, we had an interesting discussion, which ended with a simultaneous book signing. Sunday evening’s magical, musical reading by refugee story-collector François Beaune, was followed by clearing up and then a drink and pizza for the volunteers. We’ll be meeting again in a few weeks for a debriefing – which is, of course, an excuse to catch up with all our new friends. Next year’s festival, held from 15-18 November 2018, will be honouring the countries around the Baltic Sea for its 30th anniversary. 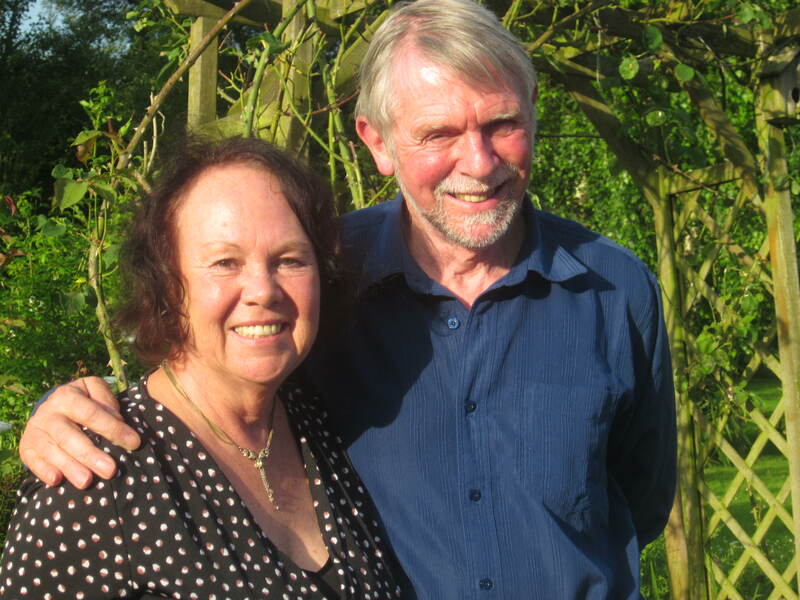 Why don’t you come along and discover them through their authors’ voices? This entry was posted in Life in France and tagged Avant Scène, Davide Enia, Emma Jane Kirby, François Beaune, Henriette Walter, Jérôme Ferrari, La Salamandre, Le Texte Libre, Littératures Européennes, Lizzie, Sophie Chérer on 23 November 2017 by harrietspringbett.